CD edition in jewel case. Includes unlimited streaming of Product 06 via the free Bandcamp app, plus high-quality download in MP3, FLAC and more. Elegantly packed with Casey Reas superb artwork arrives the sixth installment in the Crónica's Product series. 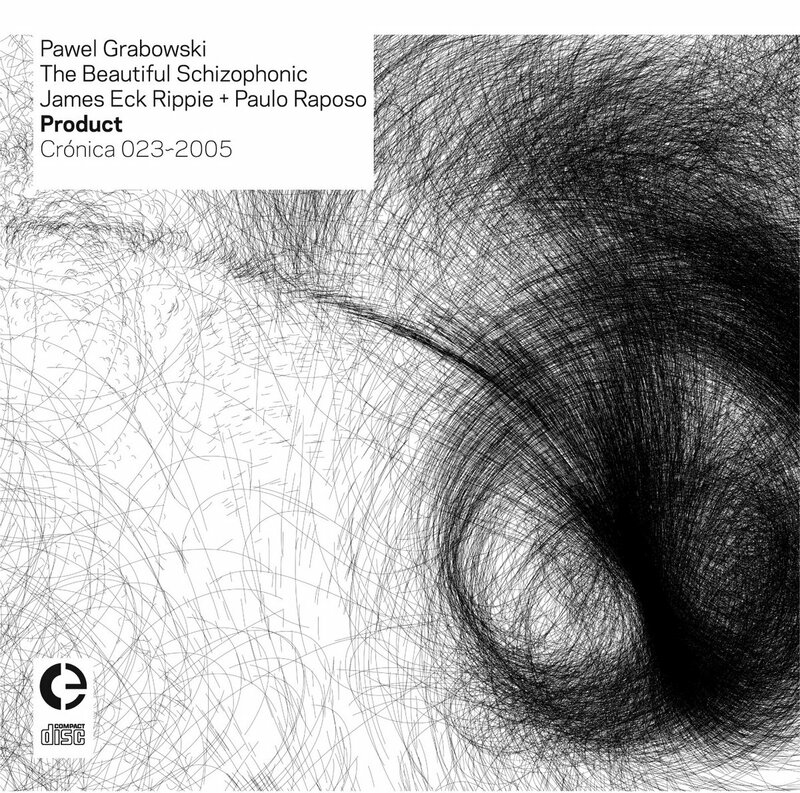 This split opens with a long haunting composition from Pawel Grabowski, it settles with some ghostlike pieces with even a medieval feeling from The Beautiful Schizophonic and reaches its closure with Natureza Morta, a stunning piece teaming up Paulo Raposo and James Eck Rippie. Pawel Grabowski was born in 1977 in Poland and lives in Ireland. Composer, he runs the netlabel "Silence Is Not Empty". "...to me my songs are like poems on the gravestones, broken and torn by the slimy stones of memories. A scoffery cold wind's hands wander over my body..."
Lost somewhere between post-romantic drones and gothic literature, Jorge Mantas is the creative mind behind The Beautiful Schizophonic. He started this project in August 2003, using essentially a laptop, a minidisc and some esoteric software to process an array of carefully chosen sounds, in order to achieve a sort of multileveled cinema for the ears. Headphone romanticism for the modern loners or a listening to the world soundscape with poetic hearing? After all, maybe this is not music, only a place. Natureza Morta, by Paulo Raposo & James Eck Rippie is a piece for turntables and electronica. Paulo Raposo is a sound and media artist based in Lisbon, Portugal. Born in 1967, after studies of philosophy and cinema in Lisbon, he has been working in the medium of live electronic and computer sound, performing, recording and exhibiting works in northern and southern europe and the United States.His work explores the inter-relationships and displacements between digital process and architectural spaces, using computer and custom-built software to create abstract and delicate soundscapes. James Eck Rippie is a visual/sound artist originally from Nashville, TN and currently resides in Houston, TX. He works primarily as a turntablist with a focus on creating abstract sound from classical music records while utilizing altered needles, turntable feedback, effect pedals, damaged records, etc. While decomposing the original sound source, Rippie’s intentions are to understand the transcending possibilities of sound as well as test the capabilities of the turntable as an instrument. Rippie has appeared on the SIRR (Portugal), Cronica (Portugal), and Elevator Bath records labels. Cover art by CEB Reas.